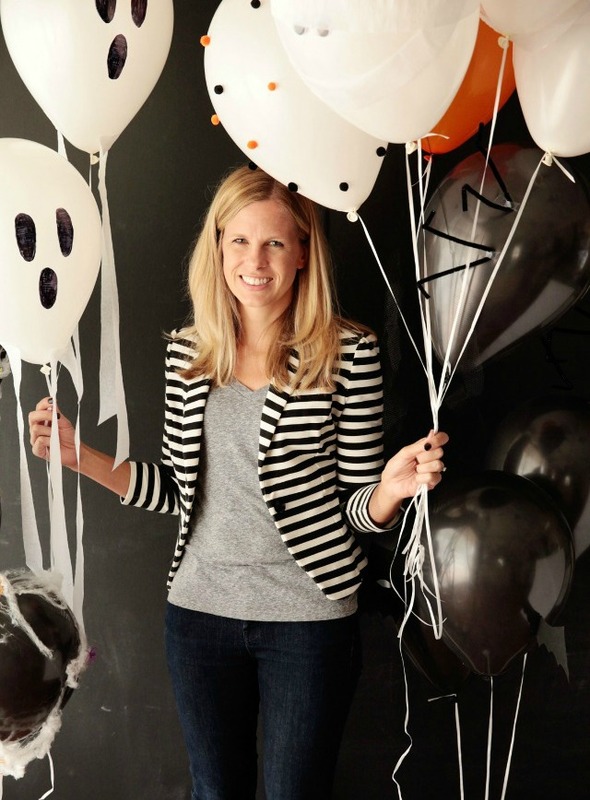 6 Simple DIY Halloween Balloon Ideas! Who’s ready to have some fun this week?!!! 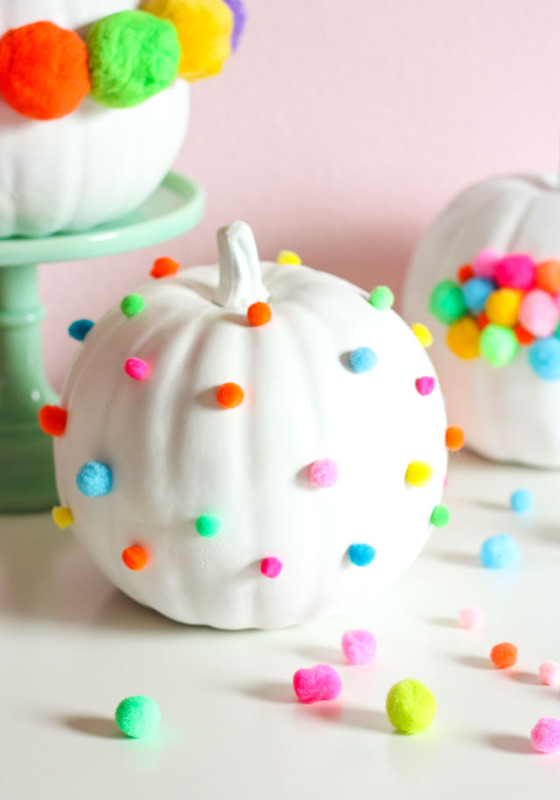 You guys know I love balloon DIYs – every since I made my pom-pom balloons I’ve been hooked. I’ve done balloons for Valentine’s Day, 4th of July, and even Mother’s Day, so I figured why not Halloween? I hope you join along all week to see what I have in store! 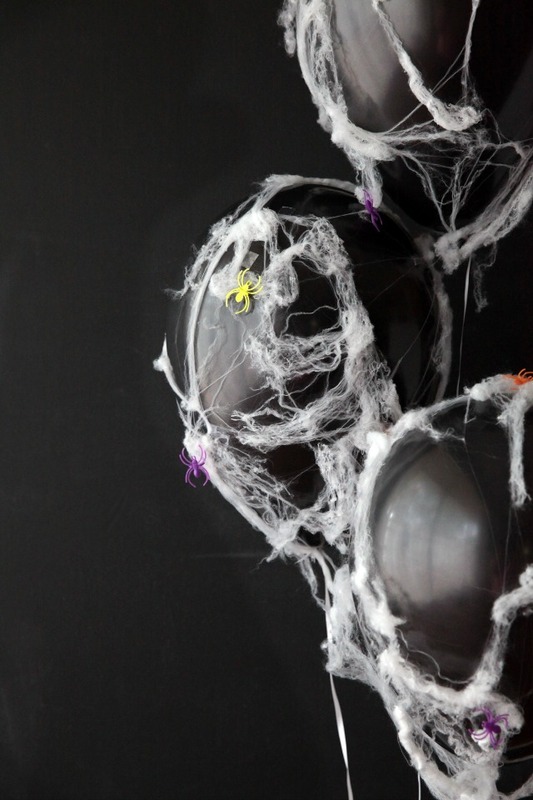 I’m kicking things off with these eery spider web balloons!! 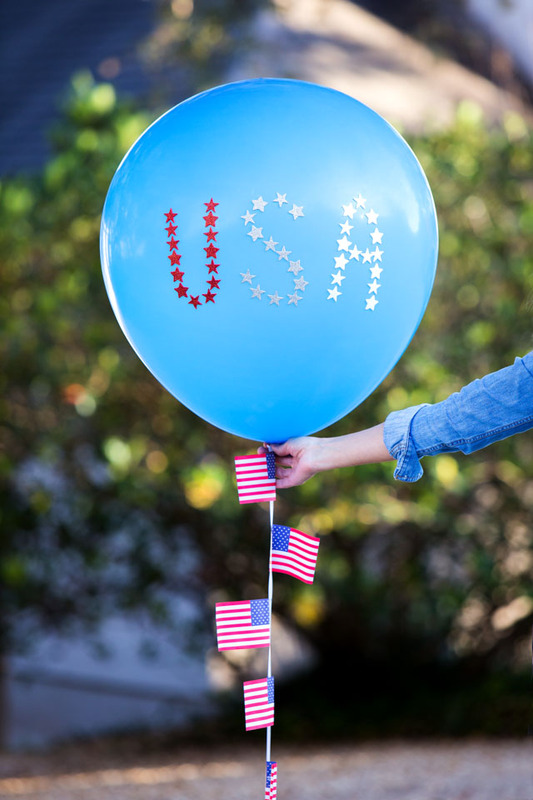 Balloons are the perfect blank canvas for getting creative. 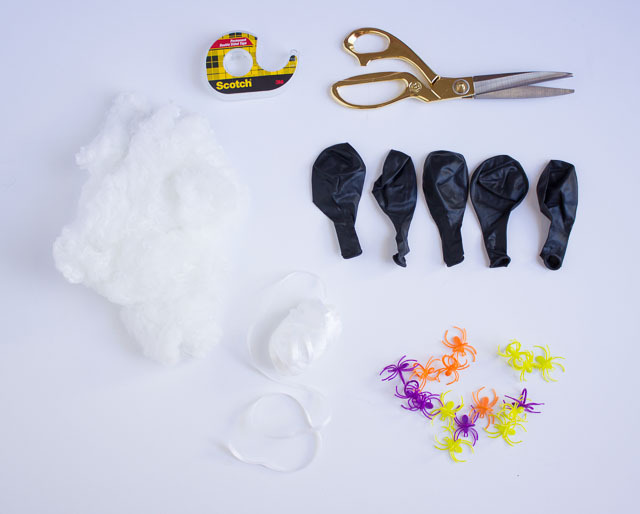 The number one thing to remember when adding a DIY touch to helium balloons is that it has to be lightweight, otherwise it will weigh down the balloon. Luckily, this faux spider web fit the bill perfectly! 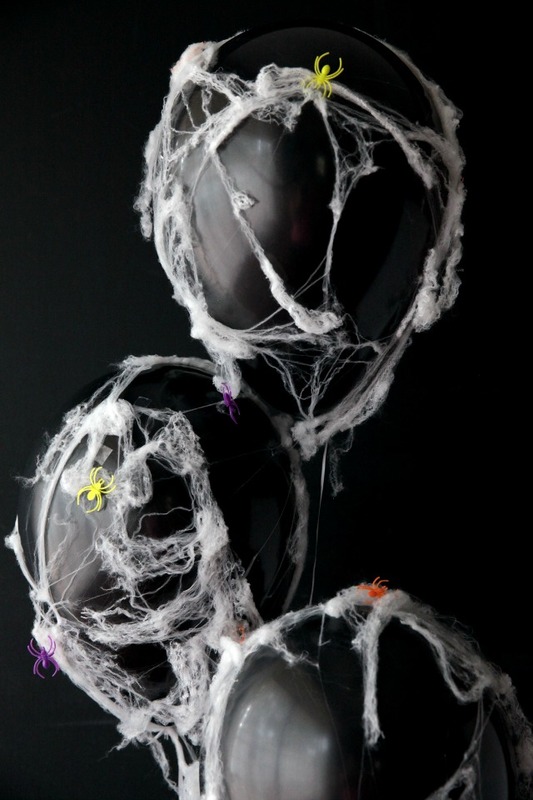 In addition to these colorful spiders, I think these balloons would look really chic with gold spray painted spiders. 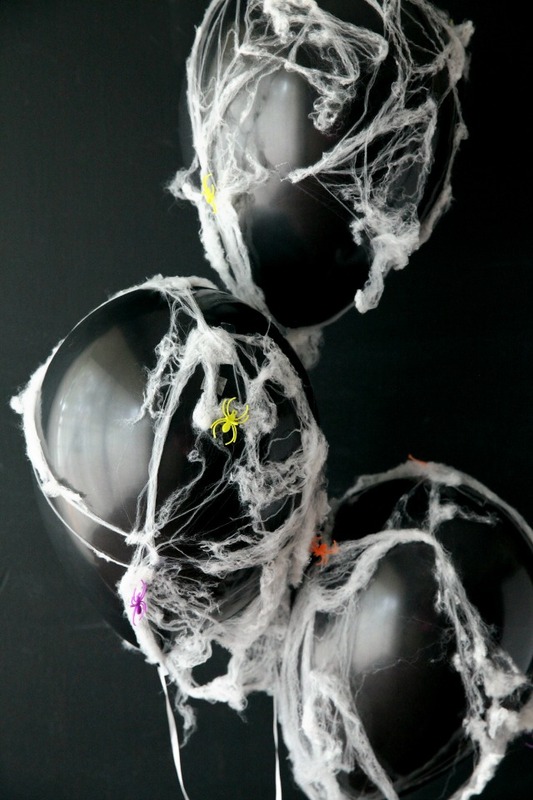 You could also do white balloons with black spider webs – so many options, and such a fun addition for a Halloween party! 1. Inflate your balloons with helium. If you want to have them last for more than 6 hours, have your local party store inflate them with Hi-Float. They will last a couple days! 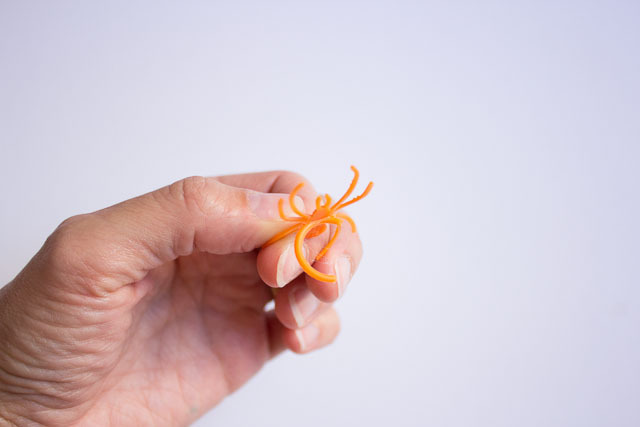 Take a small section of spider web and start stretching it out with your hands. Use a small strip of double-sided tape to hold one end down on the balloon. 2. 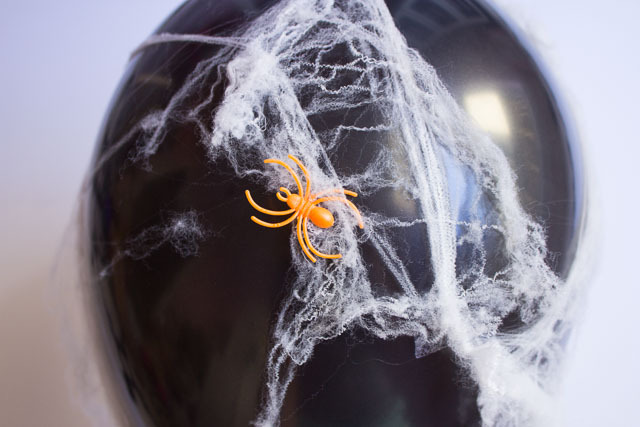 Stretch the web out around the balloon and secure the other end with tape. Continue to stretch out the web around the balloon, adding tape as needed to hold in place. 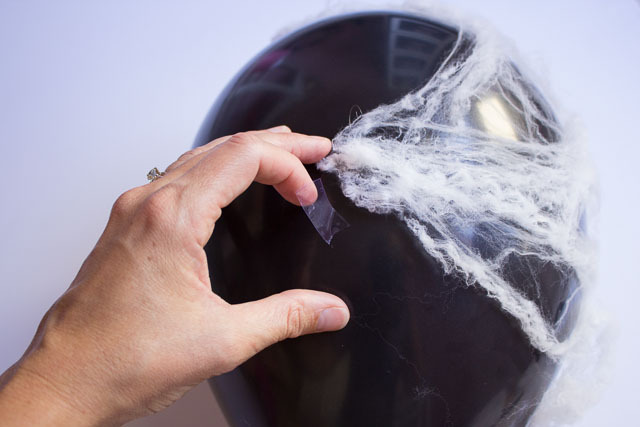 If the balloon sinks, you have added too much web and will need to trim some off! 3. Fill in with some spiders! I used spider rings and just snipped of the ring part with a pair of scissors. 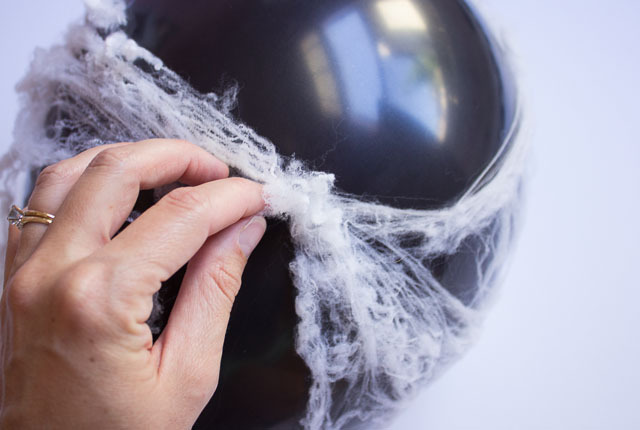 This is one of those crafts that looks best a little imperfect – let some of the web and even spiders hang off the balloons for an extra spooky look! 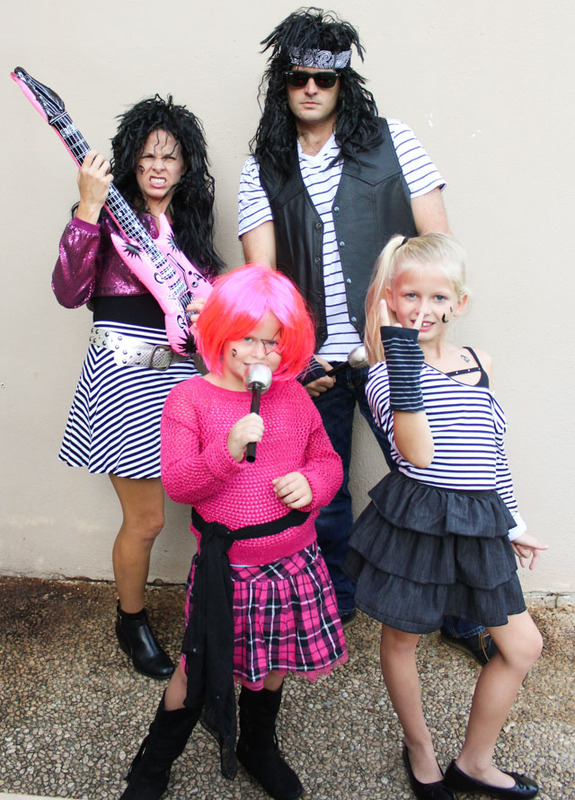 Stay tuned the rest of the week for lots more ideas! You can follow along on Instagram and Twitter with the hashtag #HalloweenBalloonWeek! 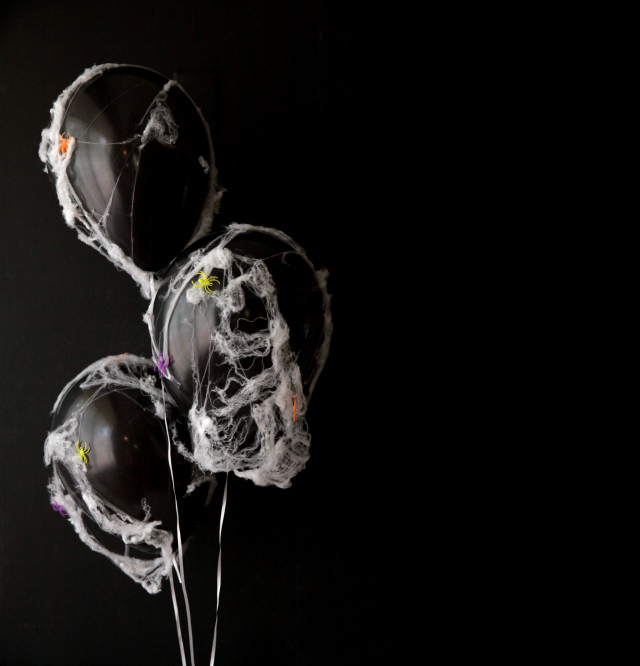 Photos of the finished balloons by Amanda Raba Gentis.